John Bowen (1780–1827), naval officer and superintendent, was born in Devon. He began his naval career in 1794 and arrived at Port Jackson in 1803, leaving shortly to form a settlement of 49 inhabitants at Risdon Cove, which Governor King instructed him to name Hobart. Bowen arrived in September 1803 and the following May, as per orders, delivered up the settlement to Collins at Sullivans Cove. 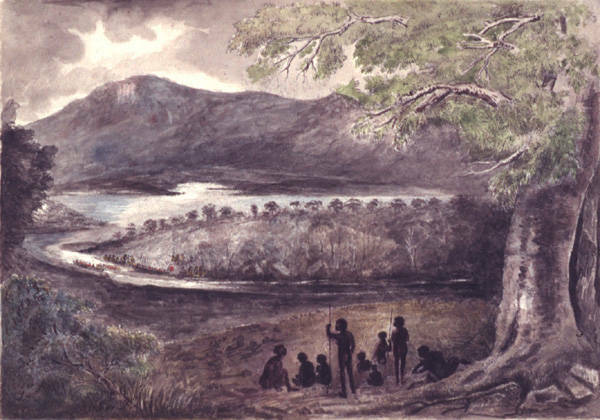 During that time, the Risdon settlement was on restricted rations, agricultural progress was minimal and the first fatal encounter with the Aborigines occurred at Risdon while Bowen was exploring the Huon River. After leaving the Derwent, Bowen's naval career took him to the West Indies and India. He died in England, and is commemorated by a monument at Risdon Cove. Further reading: ADB 1; P Tardif, John Bowen's Hobart, Hobart, 2003.